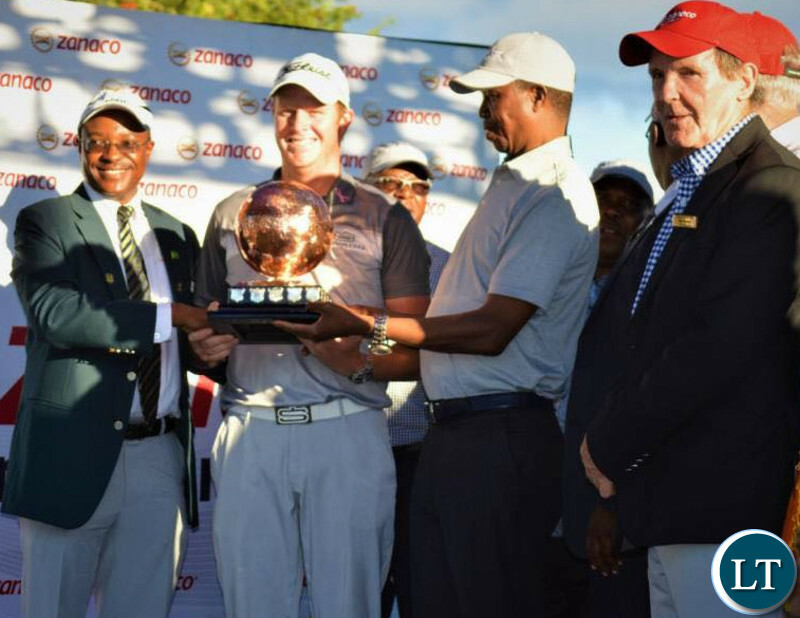 South African Golfer JJ Senekal has won the inaugural ZANACO Masters Golf Tournament held at Lusaka golf club yesterday. Mr. Senekal emerged the overall win of the 317,000 Rand worth tournament after rounds of golfing which culminated into four stiff playoffs before being crowned as an ultimate winner. President Edgar Lungu, Minister of Youth and Sport Moses Mawere, Justice Minister Given Lubinda and Presidential Affairs Minister Freedom Sikazwe were among the people who watched the last rounds of golfing and playoffs plus the crowing of the winner. 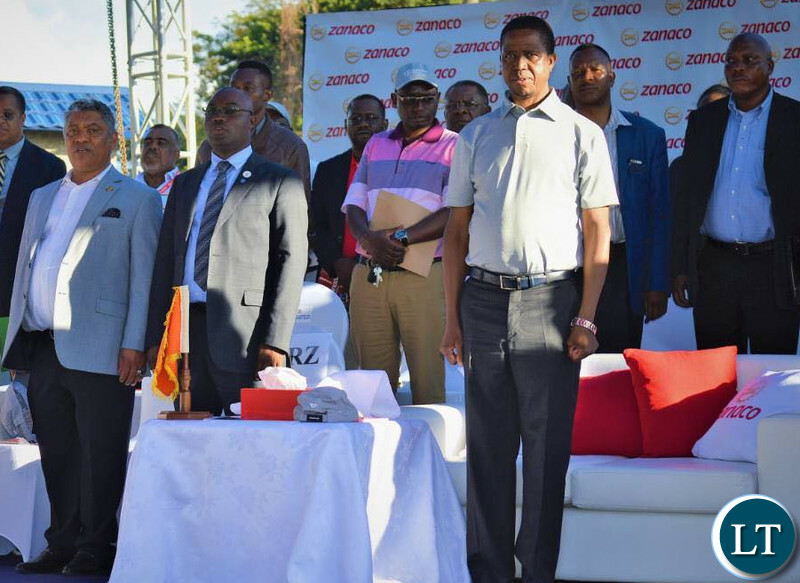 President Edgar Lungu crowed JJ Senekal as winner of the 2018 ZANACO Masters Golf tournament at a prize giving ceremony held shortly after the playoffs. And speaking in an interview with journalists after the tournament, President Lungu said he enjoyed himself watching the event and described the finishing by the last two golfers in the playoffs as spectacular. The head of state commended the sponsors and organizers of the tournament and encouraged more Zambians to engage in sport in order to keep healthy. 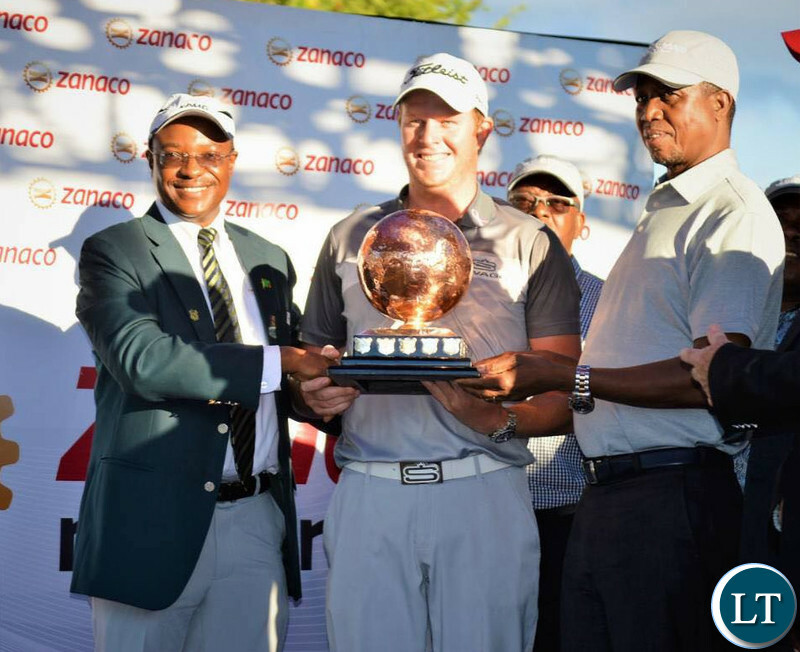 About 21 countries participated in the inaugural ZANACO Masters Golf tournament but no Zambian golfer managed to reach the top ten during the tournament. And government says it is looking forward to seeing a Zambian golfer winning the championship of a high profile tournament such as the ZANACO Masters or the Zambia open golf tournament. Speaking on behalf of President Edgar Lungu at the closure of the ZANACO Masters Golf Tournament, Minister of Youth and Sport Moses Mawere said despite the good strides the Zambian golf has continued to record in the recent past, government is eager to see a Zambian win a high profile golf tournament. Mr. Mawere noted that it was pleasing however that the Zambian golf has continued to make strides at regional and continental levels. The Minister said government is aware that Zambia has maintained its championship of the Windhoek Lager Africa Championship in the last two years as well as silverware position in the Africa region 5 championship. Zambia has also dominated the Tri-national championship in the junior category during the 2016 and 2017 in both male and female categories. The Minister further implored the Zambia Golf Union to work extremely hard to change the perception that golf is a sport for the rich stating that if people continue viewing golf in that manner, it will not reach its full potential in the country. The Minister has since commended the organizing committee and ZANACO Bank who are the main sponsor, for supplementing government’s efforts in promoting golf and other sporting disciplines. And President of the Zambia Golf Union, Jason Kazilimani thanked President Lungu for accepting the role of a Patron for golf in Zambia with special focus on junior golfers. Mr. Kazilimani also commended Zanaco Bank for sponsoring the inaugural Zanaco Masters golf tournament which is expected to be an annual event.